ArtKapsule launched at the 2012 Clerkenwell Design Week in London with The Butterfly Effect, an exhibition of work by 13 exciting London artists staged within the clean-lined interiors of Koleksiyon design showroom. Founders and directors Elaine Ronson and Sirpa Pajunen-Moghissi are dedicated to narrowing the gap between contemporary art and modern design, helping architects, interior designers and individuals find the right piece of contemporary art to complete a home- or work-space. ArtKapsule works with mid-career and emerging artists. On the following pages you can see examples by the artists we are currently working with. Their work can be found in both public and private collections throughout the world including Metropolitan Museum Of Art, Saatchi Collection, Government Art Collection and many more. We also draw on our extensive world wide network of artists especially from New York where Elaine Ronson leads a team of artists and curators. To see the artists and exhibitions happening in New York visit our US pages. 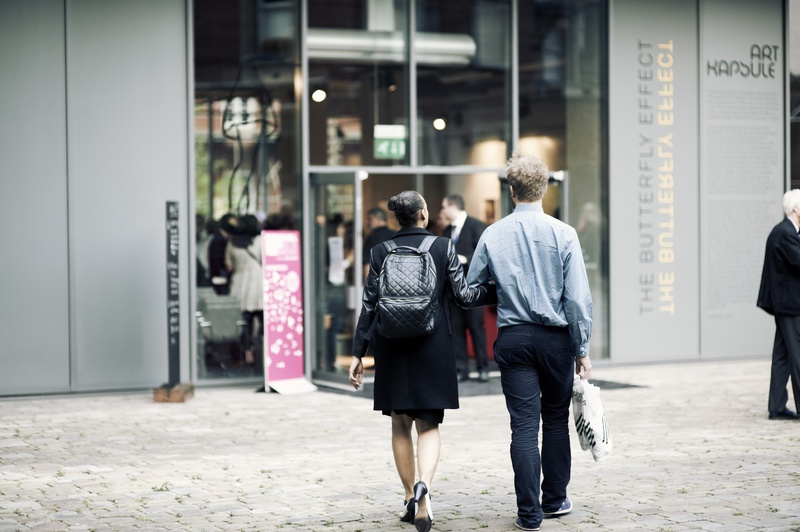 Watch a short film about The Butterfly Effect exhibition @ Koleksiyon.